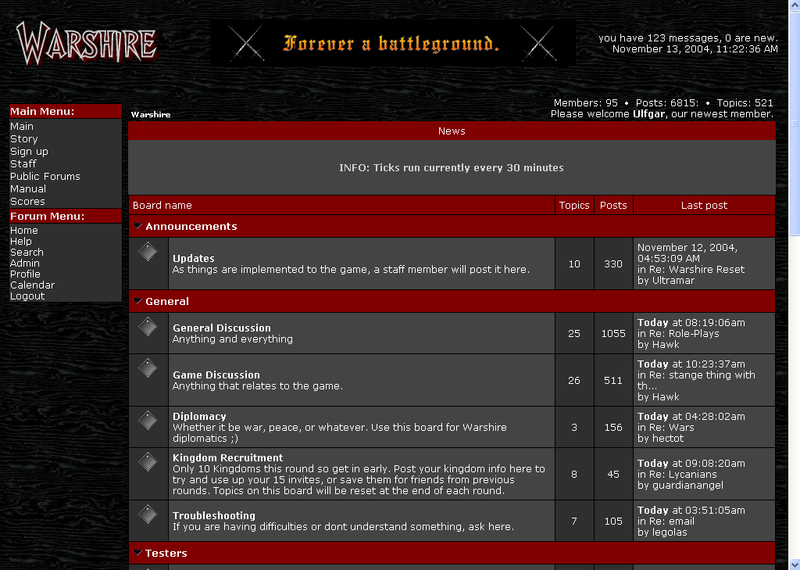 Warshire is a free mulit-player online game. Users take control of their own county, making enemies and friends as they try to become the most powerful county in the world of Warshire. There are no downloads or plugins required and the game can be played over any internet connection. Sign Up now and become the most powerful county in all of Warshire!